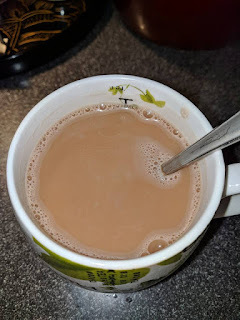 In case you've been dying to know what my first cup of tea of 2018 was, wonder no more! 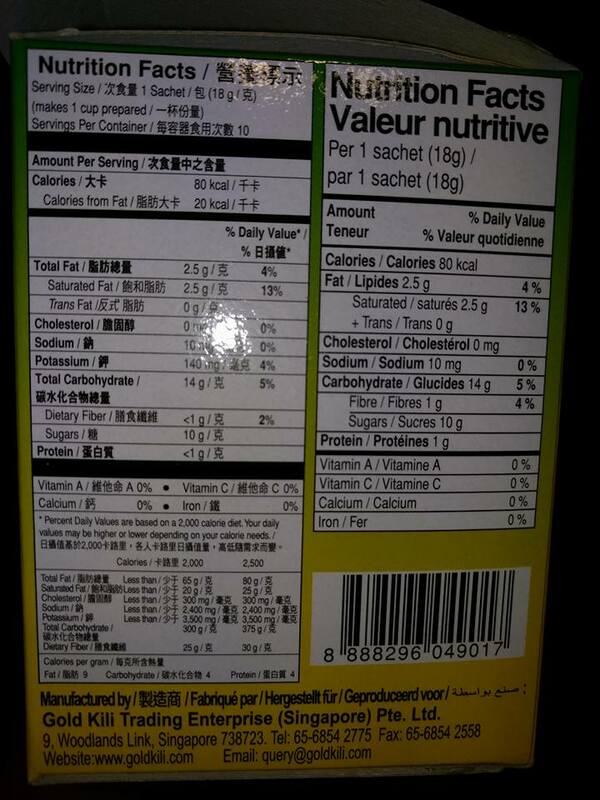 You may, however, be surprised to find out that I drank NO tea on January 1! Shocking, isn't it? I actually had a vendor booth at CenterPoint / Metaphysical Matrix annual New Year's Day Barbecue, Psychic Fair and Healing Expo and was rushing to get there in the morning, so I actually drank leftover coffee I had in the fridge. I had made a big airpot full of dark chocolate blood orange rooibos to take to the event for the guests/customers, and it was big hit, but I didn't actually drink the leftovers until a few days later. 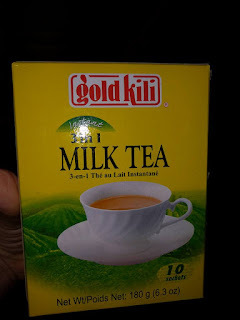 ANYWAY, on the morning of January 2, I woke up and made myself a cup of instant powdered milk tea that I had picked up at Hong Kong Market, my local Asian grocery store. This stuff is like the tea equivalent of Pillsbury frozen cookie dough or microwave popcorn: way too easy to prepare and sinfully delicious! 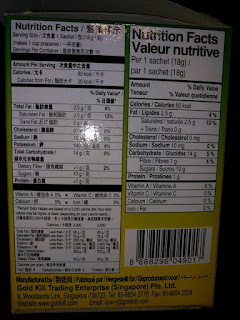 The powder is a perfectly proportioned, addictive blend of black tea, powdered milk, and white sugar: just add water, and VOILA! 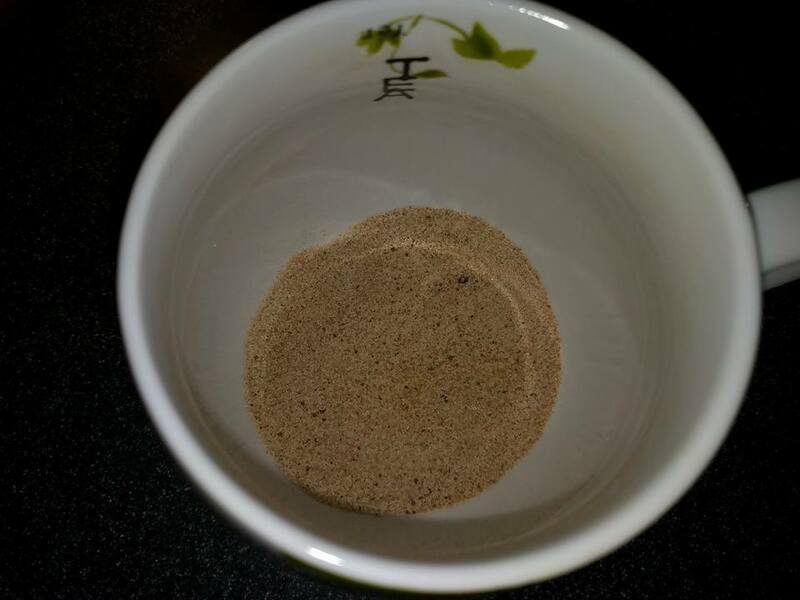 The perfect cup of sweet, creamy, yet strong black tea! 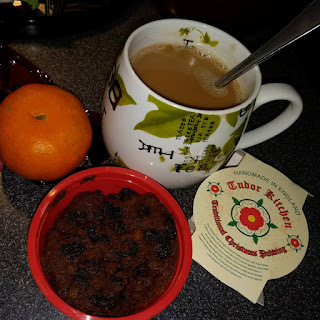 I paired it with a tiny single-serving Christmas pudding from British Isles shop in Houston's Rice Village that tasted like a rich fruit cake. (Yes, I love fruitcake and I'm not ashamed to admit it! The satsuma mandarin orange is from my garden. I normally sell them at the farmers' market, but this year I didn't do the market. Want some? The Tea Mistress has been super-busy planning the Second Randomennial Houston Tea Festival! 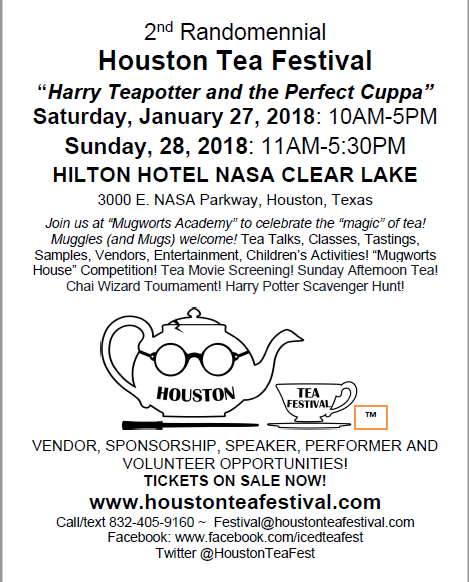 This year's theme is Harry Teapotter and the Perfect Cuppa! I will have a vendor table and I will be doing a talk and tasting entitled "French Teas from Beauxbatons"! Please join us! 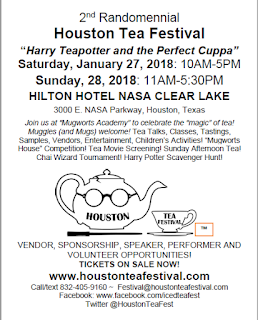 You can find more information at www.houstonteafestival.com and buy tickets at Eventbrite ! 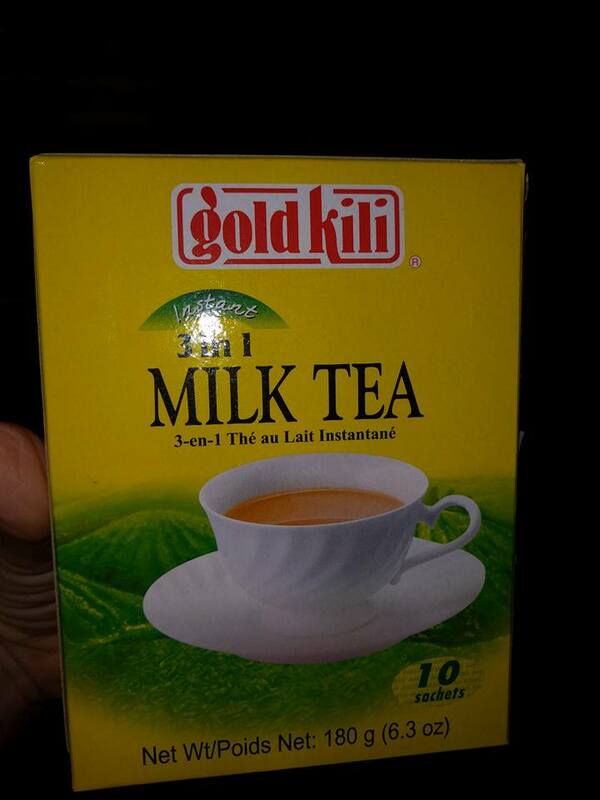 Tea you there!